BURST GEYSER? Steps to follow. We’ll visit you and help where necessary. 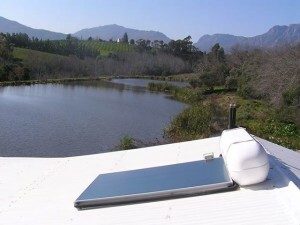 We’ll also provide you with a solar water heater installation quote. Every family’s hot water consumption is different and every home’s layout is different. There are also many different kinds of systems and during a quote visit we’ll advise you regarding the best options to suit your specific needs and together we can make the right decision as aesthetic preferences also play an important role. They geyser can be installed inside the roof or on the roof. 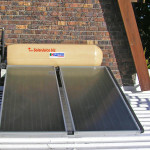 We are registered at *PIRB as plumber; solar geyser- and heat pump installer. 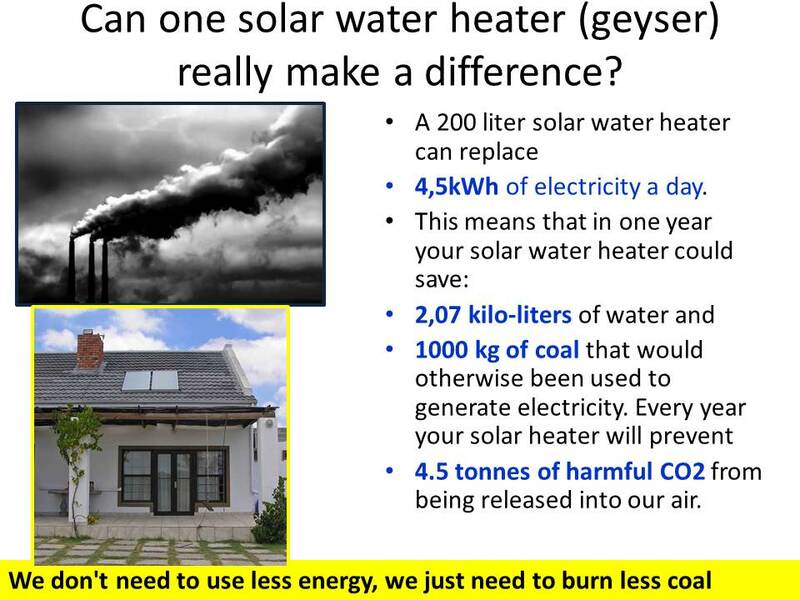 Call your insurer and tell them you want to replace your burst geyser with a solar water heater. Request a cash pay-out (of the replacement value of your geyser) from your buildings policy. The insurer pays it directly into your bank account. We accept a 50% deposit as booking and the rest of the payment can be done once the installation is finalised. We install the system in one day and we test the system before we leave your home. 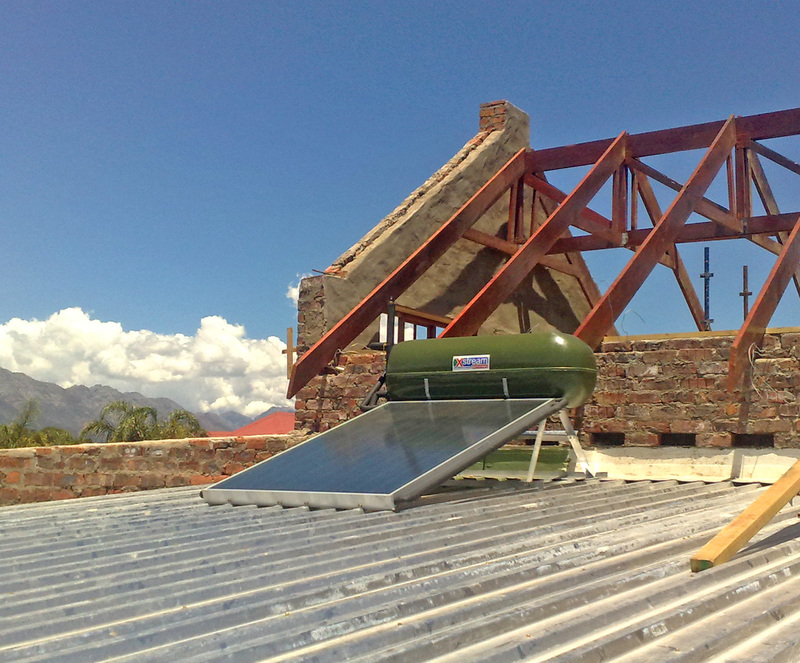 We install all the safety measurements to ensure that the residents and the solar geyser system are protected. As you know the sun can heat the water to 80°C+ and you don’t want water that hot to come out of your hot water taps. Your insurance pay-out drops the average payback period for a solar water heater considerably. This adds substantially to your savings. Now is your best chance to switch and save. Don’t let the possibility of your household going a day without hot water keep you from upgrading to solar. Remember: The country’s power shortage will be with us for years to come, and you’re likely to have problems getting hot water in the months and years ahead anyway or find the electricity cost too hight if you don’t change to solar. Annual tariff increases will also continue for many years. Now is the best moment to upgrade! A day or two of patience now can bring many years of savings – and peace of mind – to come. 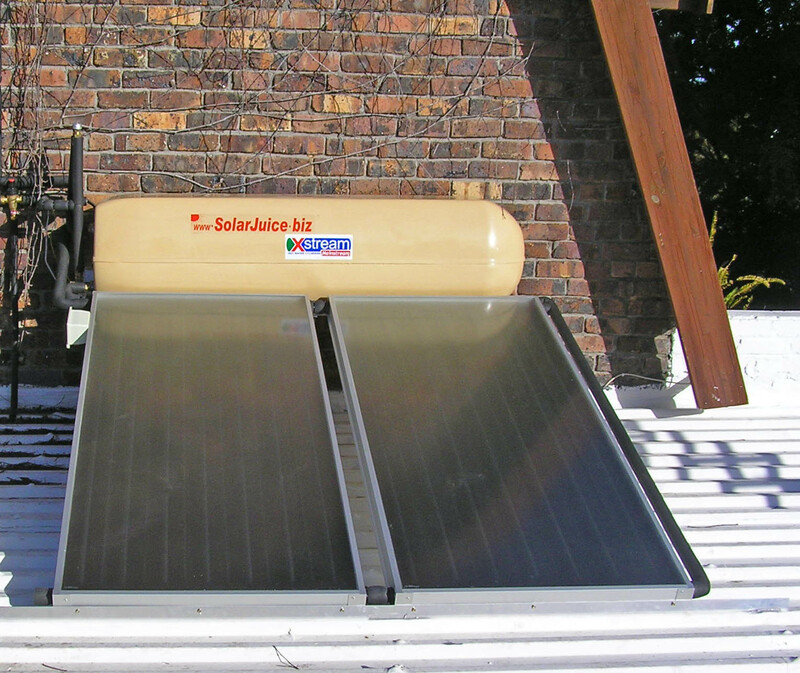 Switch your electrical geyser to solar and use the sun’s energy to heat your water. 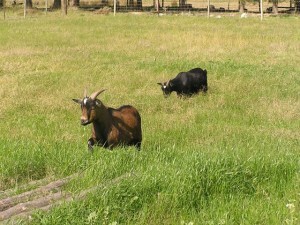 – heat pumps for geysers & pools. A solar spill is called a sunny day!! 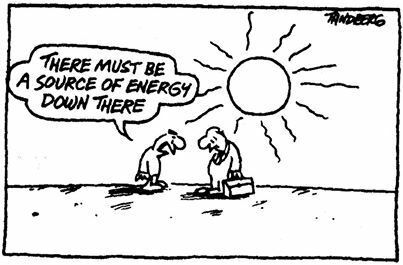 A favourite saying in the solar business. This entry was posted in Burst geyser, Geyser water heating, Solar swimming pool heating and tagged building a new home, Burst geyser, Electricity savings, energy efficiency, Environmental friendly, High standards and quality with solar geyser installations, Replace a burst geyser with a solar geyser, Replace burst geyser with a solar water heater, Which company installs solar geysers in the Western Cape on December 10, 2016 by Hannetjie.